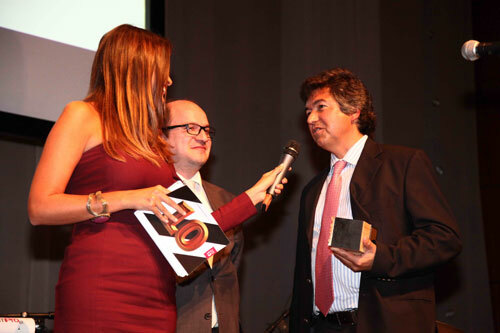 More than 140 guests and 40 international journalists, including the Vice-Mayor of the Porto City Council and Councillor for Tourism, Innovation and Leisure, Vladimiro Feliz, attended the Porto Best of Wine Tourism Awards 2013 Ceremony. 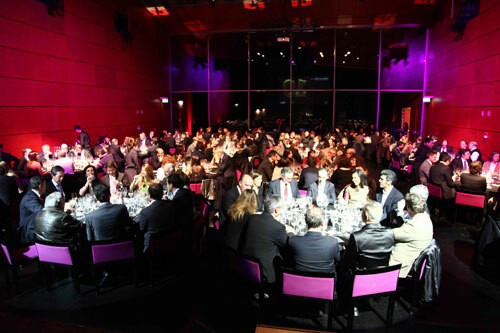 The gala dinner took place on 7 February at Casa da Música, included in the programme of the 10th edition of the Portuguese wine event “Essência do Vinho – Porto”. Quinta do Vallado, established in 1716, is one of the oldest and most famous “Quintas” in the Douro Valley. It once belonged to the legendary Dona Antónia Ferreira, and still belongs to her descendants. It lies on both banks of the Corgo River, a tributary of the Douro River, near its mouth, close to the town of Peso da Régua. Since 2005 Vallado has a Wine Hotel, with 13 rooms: 5 in the old Manor House, built in 1733, and 8 in a new building built by the architect Francisco Vieira de Campos. In this new project, slate is the main material used. A new state of the art winery was also built in 2009. Under the direction of Chef Ricardo Costa, The Yeatman’s restaurant in Porto offers imaginative cuisine in which the traditional flavours of Portugal are interpreted and presented with contemporary flair. 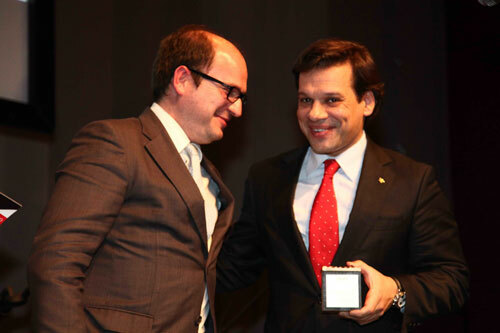 It showcases Portugal’s huge range of fish and other fresh products as well as its diversity of regional specialties. Because The Yeatman is a luxury wine hotel with an award-winning wine cellar, you can be sure of an exceptional gastronomic experience. 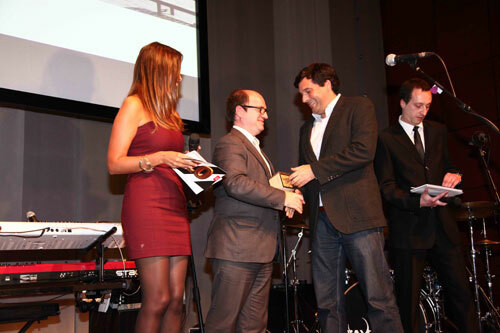 The restaurant was awarded a Michelin Star in 2012 and 2013 as well as the prestigious Platinum Fork award for best restaurant (“Garfo de Platina”), by the guide “Boa Cama, Boa Mesa 2012”, Expresso Newspaper. Located on the right bank of the River Douro, between Régua and Pinhão, Quinta do Crasto is an estate of around 130 ha, 70 ha of which filled with vineyards. With its exceptional location above the Douro River, the estate´s swimming pool, made famous as it was designed by the renowned Portuguese architect Souto Moura, has been the reason for many visits and media reports over the last years. Quinta do Crasto offers a wide range of wine tourism programs tailor made for each visitor. They include wine tastings, lunches or dinners, and boat rides along the Douro River through a partnership with Pipadouro. Founded in 1999, the Great Wine Capitals Global Network is an alliance of nine internationally renowned wine regions – Bordeaux, France; Cape Town, South Africa; Christchurch-South Island, New Zealand; Florence, Italy; Mainz-Rheinhessen, Germany; Mendoza, Argentina; Porto, Portugal; Bilbao-Rioja, Spain and San Francisco-Napa Valley, USA. The Best Of Wine Tourism awards serve as an industry benchmark for excellence and recognize leading wineries and wine-tourism related businesses within each Great Wine Capital that have distinguished themselves in areas such as innovation, service and sustainable practices. For more information visit: greatwinecapitals.com.